COMMUNITY FOR DISHARMONIC REPLICATION, WEIRD SOUNDS, INCONGRUENT THEORY AND FATAL STORIES. 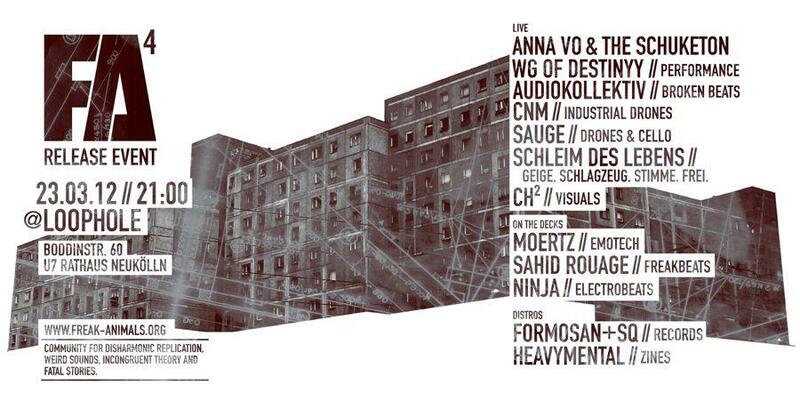 This event will not take place at Loophole Berlin anymore, but at Raum Berlin and on Saturday instead of Friday. Raum Berlin is at the ZiegrastraBe, 15, next to Sonnenalle S-Bahn.